The WA Department of Primary Industries and Regional Development is looking for the support of Kununurra and Wyndham residents as they take the difficult step of removing citrus trees that could host the destructive citrus canker disease. 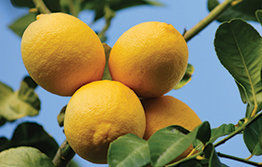 The removal of host plants is necessary under the national response plan to stop citrus canker which has been detected in the Northern Territory and Western Australia. Biosecurity and Regulation executive director Mia Carbon said department officers would be visiting properties within the declared Restricted Areas surrounding the three locations where citrus canker had been detected. “This is a difficult but very important step to ensure the disease does not spread, and is key to protecting Australia’s citrus growers and valuable fruit production into the future,” Dr Carbon said. “We will be talking directly with residents to explain the process of removing the specific plants that pose a risk, including all citrus. Dr Carbon said strict controls on the movement of citrus plants and fruit in the area were already in place. “Citrus canker is a destructive and contagious disease and unchecked could devastate our citrus industry,” she said. Dr Carbon said the department had conducted extensive surveillance and the disease had not been found in any commercial citrus orchards. Citrus canker does not pose a risk to human health and fruit remains safe to eat. The department is reminding people to check their citrus plants and if they see unusual symptoms to contact the department’s Pest and Disease Information Service on (08) 9368 3080, email [email protected] or make a report using the department’s MyPestGuide Reporter app.